New Zealanders who are travelling overseas anytime in the next year should check the known list of Zika virus infected countries and take the recommended travel precautions. Am I at Risk of Zika Virus While Travelling? On 1 February 2016, WHO has declared a state of public health emergency for the mosquito-borne Zika Virus currently reported in Africa, the Americas, the Caribbean, Asia, and the Pacific. New Zealanders who are travelling overseas anytime in the next year should read the known list of infected countries below and take the recommended travel precautions and travel warnings. The Zika Virus on its own is mild and not clinically serious, and does not result in hospitalisation. However, Zika Virus in pregnant women has been potentially linked to microcephaly cases in babies, making it a chilling threat. Microcephaly is a disease that causes babies to be born with abnormally small heads, causing brain damage. Larger than usual numbers of affected babies are currently being born in Brazil, and previously in Polynesia in 2014. WHO aims to halt these microcephaly clusters with a massive effort to prevent pregnant women being bitten by mosquitoes. In terms of Zika infection overall, WHO estimates Brazil has seen 1.5 million cases so far and local authorities are working hard to stem the epidemic. Researchers in Brazil and the United States have told WHO it will take 3-5 years to develop a vaccine against the virus. For this reason, everyone who travels to infected areas is at ongoing risk and must be careful to take the precautions below. This disease is caused by a virus transmitted by Aedesmosquitoes, the same beast responsible for transmitting dengue, chikungunya and yellow fever. 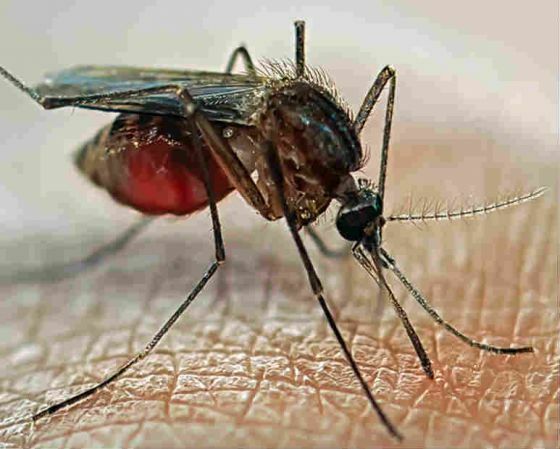 These mosquitoes bite all day but particularly around dawn and dusk. The best way to prevent the virus is to protect against being bitten by mosquitoes. Symptoms usually involve a mild fever, skin rash (exanthema), and conjunctivitis. In some cases symptoms can also include severe headache, joint pain, and muscle or bone pain. Symptoms normally last for 2-7 days. However, 4 out of 5 infected people do not show any symptoms. The incubation period from infection (exposure) to symptoms appearing is currently unproven, but appears to be only a few days. What Countries are Affected By Zika Virus? According to the World Health Organisation (WHO), Zika Virus was first seen in 1947 in Ugandan rhesus monkeys, by scientists studying sylvatic yellow fever. It broke the animal-human barrier in 1952 in Uganda and Tanzania. Outbreaks of Zika Virus have primarily appeared in tropical Africa (1950s onward), South-East Asia, and the Pacific Islands (2007, 2013-present), and now in Central and South America (2015-present). The European Centre for Disease Prevention and Control (ECDC) advises that the following countries and territories are categorised as currently experiencing active local Zika virus transmission if local Zika infections have been reported by health authorities within the last three months. Travellers should also remember that any neighbouring country to an infected country may also soon be affected, because the disease is easily transmitted across borders by mosquitoes. Reconsider if you are pregnant.Pregnant women in any trimester are strongly advised not to visit any countries with ongoing infections until more is known about Zika virus. If you have travel insurance, you can make a claim to get back the money you lose by cancelling plans. Subscribe to updates on the virus’ progress, with the New Zealand government’s SafeTravel website. Register your travel plans.New Zealanders register with the NZ Consular Response through SafeTravel. Take all precautions to prevent mosquito bites (see below). 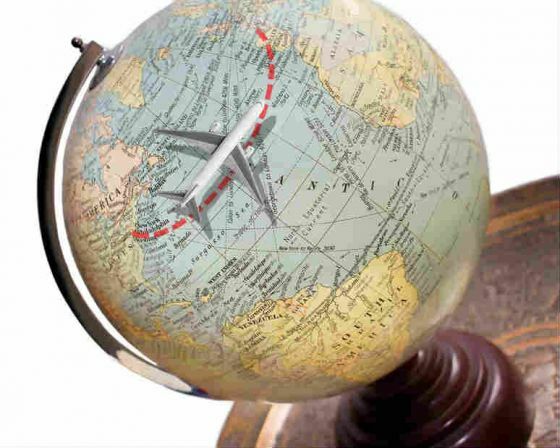 Get the right travel insuranceto protect you while you’re overseas (compare your options with Canstar). Wear light colours if possible because mosquitoes are attracted to bright or dark colours. Use insect repellents containing DEET or picaridin. If wearing sunscreen or make-up, put repellent on over the top. These repellents are safe for pregnant and breastfeeding women and children older than 2 months when used according to instructions. Put repellent on your clothes and gear as well, such as boots, pants, socks, and tents. Use mosquito nets over your bed. Stay and sleep in screened or air-conditioned rooms. Avoid pools of still water because this is where mosquitoes breed and leave larvae. The New Zealand government monitors all international airports and marine ports of entry to keep out infected mosquitoes or cargo. You can avoid bringing Zika Virus back home by following all of the recommended ways of preventing mosquito bites while overseas. If you feel sick while you are away or when you come back, see a doctor as soon as possible and mention your recent travel to an infected area. Many other mosquito-borne diseases can be caught overseas in warm climates and brought home, such as malaria, dengue fever, Yellow Fever, chikungunya, and Japanese encephalitis., as well as Ross River Virus and Barmah Forest Virus, so taking precautions is important all year round. Malaria: Africa, South and Central America, Asia, Pacific Islands. Many effective anti-malarial medications exist and you must visit a doctor to get a prescription. These medications should be taken before, during, and after travel in order to be effective. Dengue Fever: Africa, South and Central America, South-East Asia, the Pacific Islands, Australia. Serious, potentially fatal if complications occur or the patient is young. Symptoms can last for 2 weeks or longer. Yellow Fever: Africa, South and Central America, the Caribbean. Some airlines require you to provide your vaccination certificate in order to board a flight out of an infected country. Australian or New Zealand Quarantine will require you to provide your vaccination certificate when your plane arrives home at the end of your trip. Kunjin/West Nile Virus: Africa, Eastern Europe, West Asia, Middle East, Australia (especially WA and NT). Mild symptoms, with rare complications of meningitis or encephalitis. Chikungunya Virus: Africa, South-East Asia, India, Indian Ocean Islands. Non-fatal, but serious symptoms can last for 2 weeks or longer. Japanese Encephalitis Virus: Japan (rural areas), Asia (especially China, Korea, Indonesia, eastern Russia), Australia (northern Queensland, especially Torres Strait and Cape York). Mild symptoms, with rare fatal complications of meningitis or encephalitis. Two vaccines are currently available in Australia. The risk is very low for visitors to urban centres; however, travellers to rural areas are at high risk and should take the vaccine. Murray Valley Encephalitis Virus: Papua New Guinea (PNG), Australia (northern WA and NT). Serious, potentially fatal if disease reaches brain or spinal cord. Ross River Virus: Australia (wide-spread). Non-fatal, but serious and debilitating symptoms continue for a year or longer. Barmah Forest Virus: Australia (wide-spread).